Growing up as the oldest of five children in a small town in rural Arkansas, Phyllis understood early on in life the principle of service. A first-generation college graduate, she has earned a bachelor’s degree in elementary education, a master’s degree in reading, a doctorate in curriculum and instruction, and most recently, a master’s in theological studies from the Houston Graduate School of Theology in Houston, Texas. Her higher education and public school experience have allowed her to serve in several capacities, including campus improvement specialist, data specialist, and Title One campus coordinator in Fort Bend ISD. In the Monroe City Schools system, Phyllis served as an elementary school teacher and administrative intern. 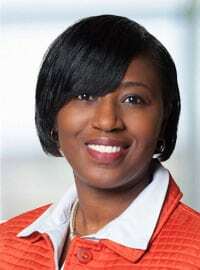 Her higher education experiences include serving as an assistant professor of curriculum and instruction at the University of Louisiana at Monroe; PK-16+ coordinator; education representative for Louisiana’s Blue Ribbon Commission; adjunct professor at Jarvis Christian College in Jarvis, Texas; and Texas Southern University in Houston, Texas. She has also served as an instructor for Texas ACT Houston, an alternative certification program for teachers. As an educational consultant, Phyllis provides school districts with professional development training in improving instructional practices and curriculum alignment. She has presented at the international, national, and state level on topics ranging from effective course design to teacher effectiveness. As a member of the campus leadership team, Phyllis helped support campus implementation efforts of the Flippen Group’s Campus by Design initiative, and later became a leadership consultant with the Flippen Group. She lives to encourage and support others as they seek to discover their hidden treasures. Phyllis enjoys spending time with her husband, Damond, whom she passionately refers to as her “gift,” and her darling son, Ronald. Phyllis believes that the best lessons are not taught, but lived, resulting in a life that embodies the principles of the lesson learned.